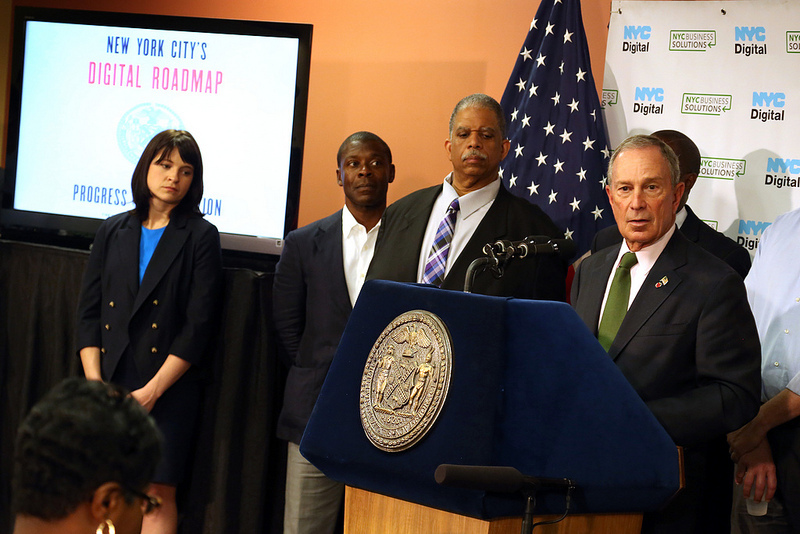 Today, New York Mayor Mike Bloomberg and Chief Digital Officer Rachel Haot unveiled the city’s 2012 Digital Roadmap, which follows the success of last year’s 2011 digital roadmap. This initiative was created to share NYC’s past success in digital and tech initiatives, and to simultaneously “spur the development of” the city’s tech scene. 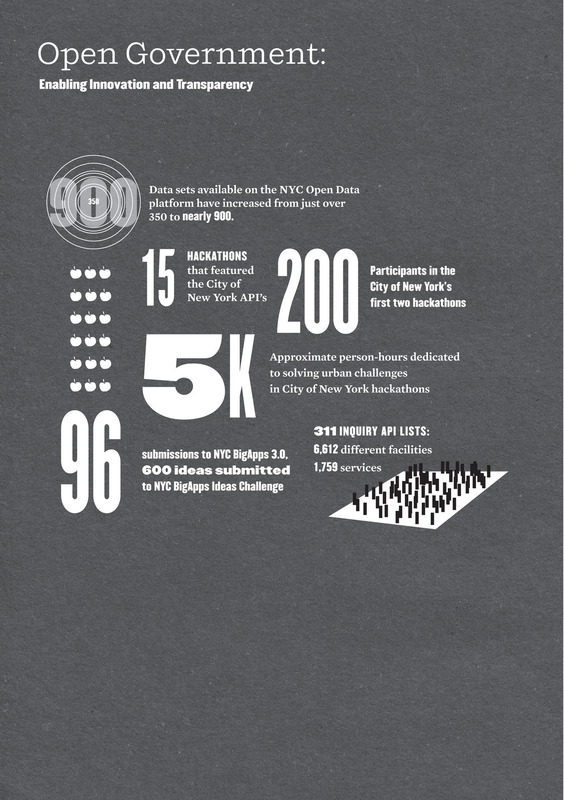 According to the release, 80 percent of the objectives that NY established last year are now complete. This includes everything from rapid expansion of WiFi-serviced parks and the city’s Big Apps competition to the nearly 5.5M individuals reached by government social media channels. 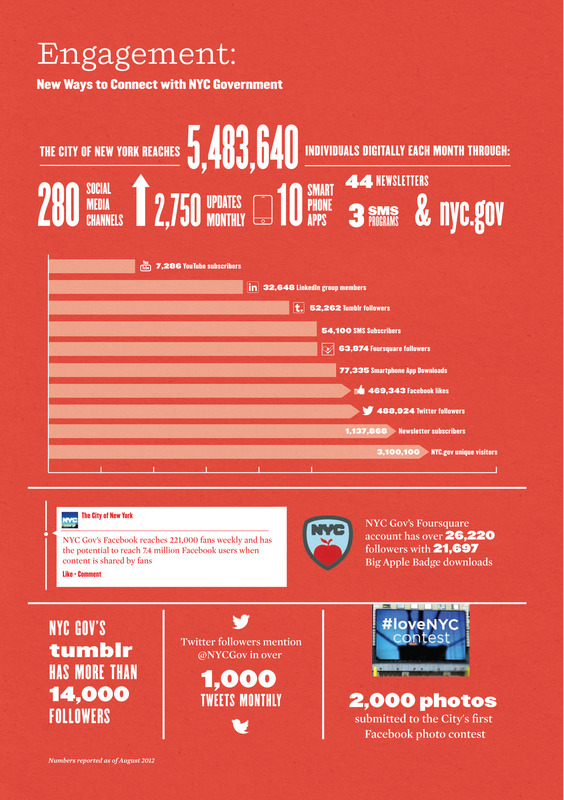 As you might expect, plenty of boasting was done, especially when it comes to NY’s recent growth as a tech hub. Check out the related infographics here. 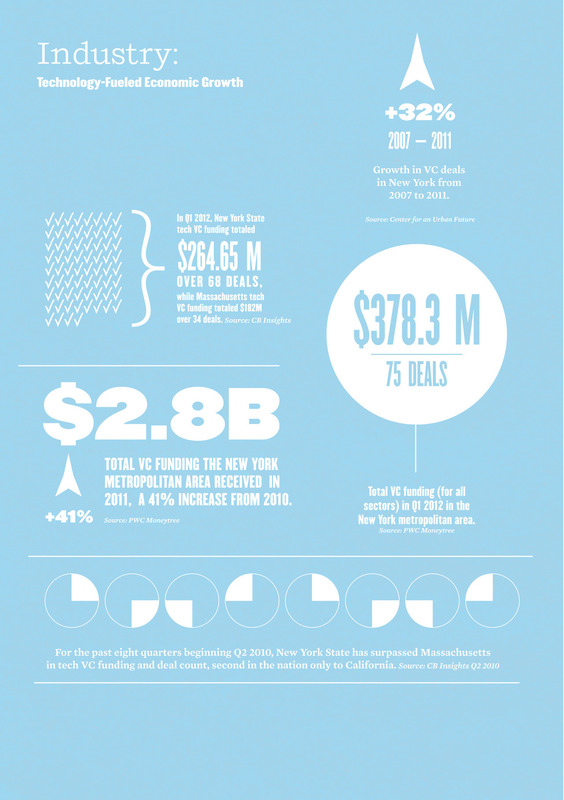 As far as the city’s next steps go, the graphic below shows the direction which NY hopes to head. Specific areas of improvement include expanded broadband connectivity, mobile payments in taxis, a new NYC.gov site, live broadcasted city council hearings and more. Similarly, the push for an open government, which includes freeing a massive data set to developers, will accompany pushes for greater social media involvement and general industry-wide growth.